can I repair my iron gate, fence or railing my self? One of the pressing questions that many of our clients at Linmoore Fencing have is about repairs: what repairs are likely to be necessary, and whether they can fix their iron gate, fence, or railing themselves. The answer to this is, it depends on what damage you are talking about. Are you talking about repairing breaks yourself? The answer to this question is absolutely not. If wrought iron breaks, it needs to be repaired professionally. First one of our experts will come out to assess the damage, and most likely what will happen is that the broken section of your fence or railing will be replaced with a new section. In some cases we will be able to do on-site repairs, and our first priority is always to make sure that you have your fence, railing, or gate in working order as soon as possible. Trying to fix a breakage in your wrought iron using unprofessional equipment such as extra-strength glue is always a mistake, as it will leave a visible crack and that spot will be weak forever. The good news is that, given how strong wrought iron is, the likelihood of it breaking like that is extremely rare, as it needs extreme force to bend it or break it. 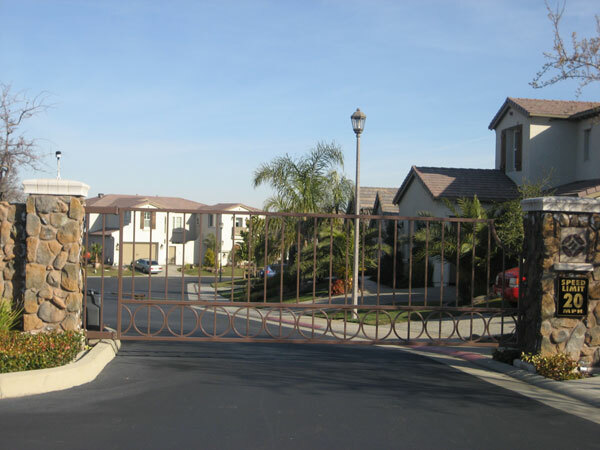 If you are talking about repairing any surface-level damage, such as rust, yourself, then you absolutely can repair your wrought iron gate, fence, or railing yourself. You will need a commercial rust remover, and once all the rust is removed you will need to use a sealant to protect your wrought iron from getting rusty again. However, this is another service we are happy to provide, so that if you are looking for maintenance-free, worry-free wrought iron services you need look no further than Linmoore Fencing. We can make sure that your wrought iron is always in top-notch condition so that you never need to worry about wrought iron repair on your own.